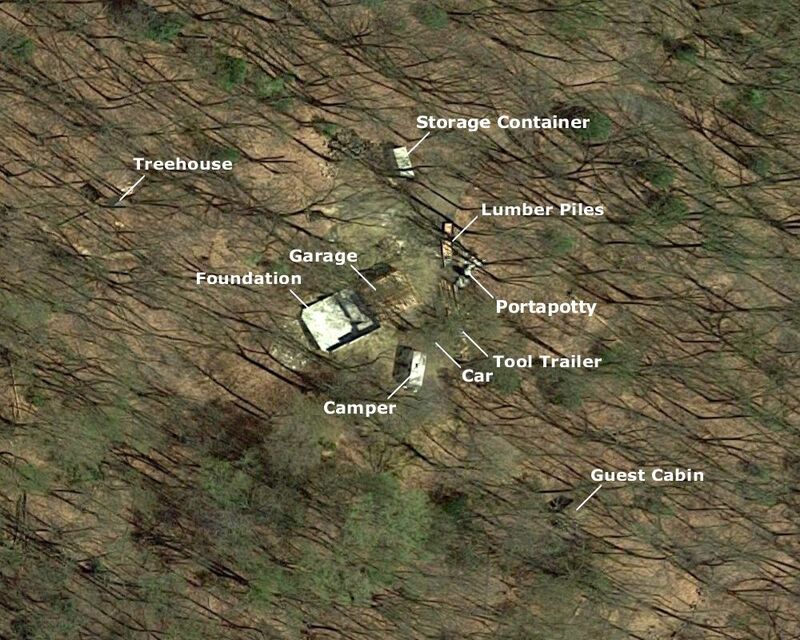 In addition to the forest, the property has very interesting topography, and it was this combination that sold me instantly. As a bonus, the western border faces a sprawling wetland, which means it will never be touched. 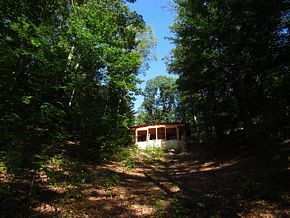 This is the direction the house faces, offering a woodland vista that stretches as far as the eye can see. Ground-level photographs can capture some of the land's contours, but they still don't fully impart the dramatic sense of depth. One almost feels as though the land embraces the house in an enormous cupped hand—which is just how I've always dreamt my home might be. 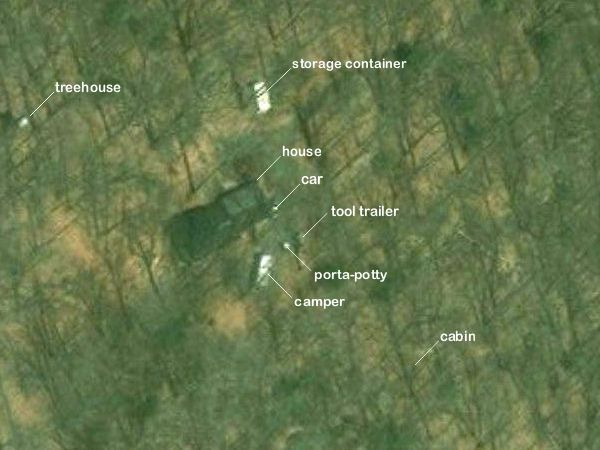 Completed in January 2015, the topographic survey offers the most detailed portrait of the various landforms; the house and guest cabin are shown in context, along with the unimaginative names I've given the three ravines, at the bottom of which are the wetlands. 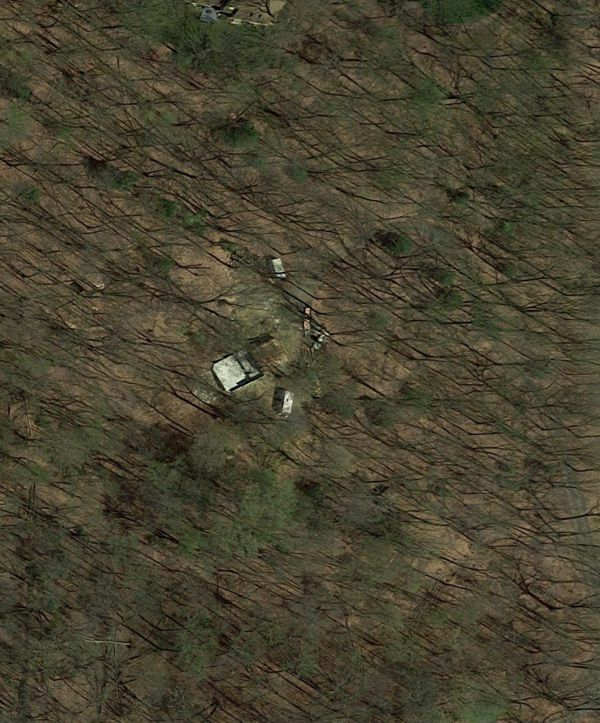 Satellite views aren't very informative about the terrain, but interesting nevertheless. Based on the construction progress, weather conditions, shadows and other details, it appears Google's view, above left, was taken around 10 AM, 16 April 2016. Compare it to Bing's shot, above right, which looks to have been taken about a year later, sometime in April 2017. 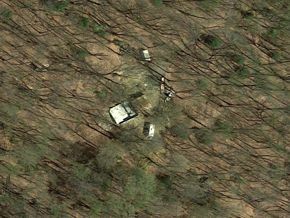 Click both for annotated enlargements, and roll over the image below to see how the topography maps to the satellite view. 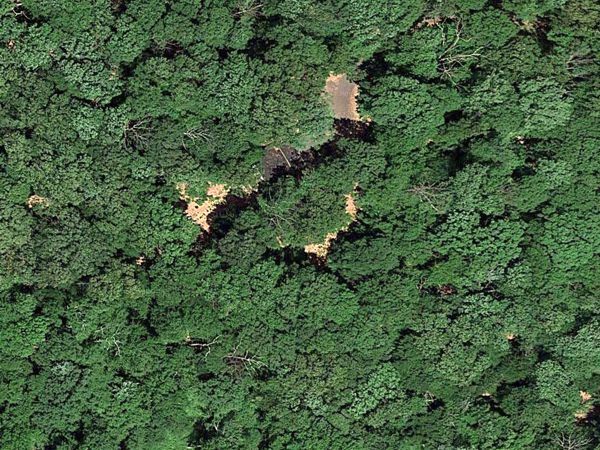 Below, a more recent Google satellite view shows just how hidden I am in the summer; sadly, it also reveals how many dead trees there are now. Incidentally, the bare patch at top center is a consequence of Sandy; it's now the end of the driveway. 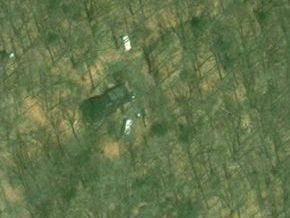 The crescent-shaped patch just below center was cleared by the prior owners in preparation for their house; it's now the septic disposal bed. And the triangular patch to the left is The View. Click for an enlargement. 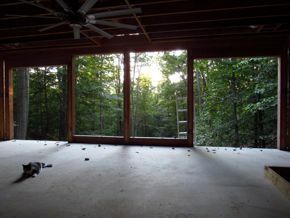 I've been told by a neighbor the highest point in Burlington County is on my property, right where I'm building the treehouse. 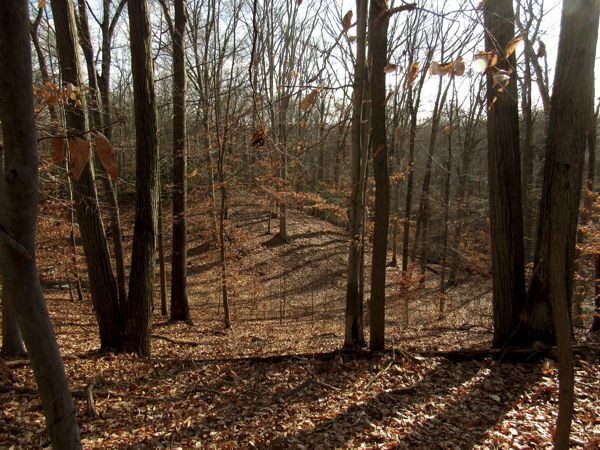 After doing some research, I've found that the highest point in the county is actually Arneys Mount in Arneys Mount, NJ; at 240+ feet, it's over 40 feet higher, although mine is almost certainly the highest point in North Hanover Township. 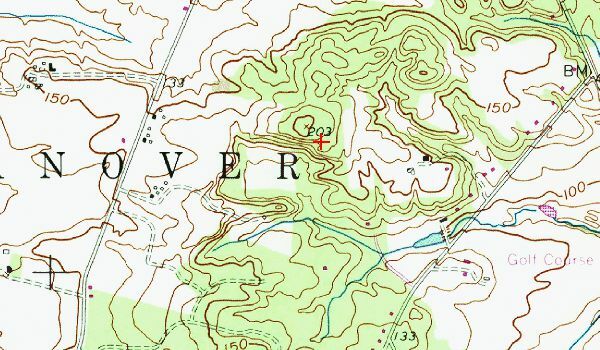 On the topo map below, my house is indicated by the red crosshairs; the high point is the small X just above and to the left.